All of the London trusts that received Millennium from BT under the national programme are keeping the system and four of nine trusts in the south have chosen to do the same. Another southern trust, Weston Area Health NHS Trust, has signed a £3.2 million deal to continue using the system until its "imminent" acquisition by Taunton and Somerset NHS Foundation Trust. Taunton and Somerset is one of the southern trusts that have decided to switch off its national system and plans to go live with the newly open source electronic patient record system from IMS Maxims in July. The implication is that Weston Area Health will ultimately also be moved onto Open Maxims. 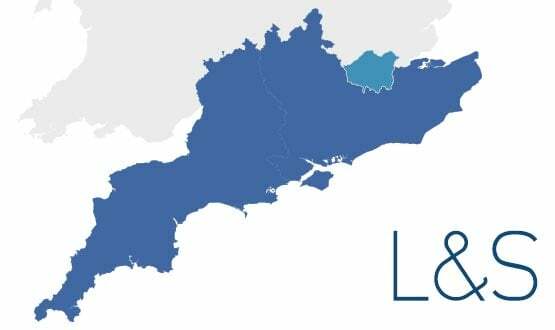 Of the remaining trusts in the south, North Bristol NHS Trust has chosen to move to CSC’s Lorenzo, which it plans to switch on in October, and Buckinghamshire Healthcare NHS Trust plans to implement System C’s Medway EPR in the autumn. Winchester and Eastleigh Healthcare NHS Trust merged with Basingstoke and North Hampshire NHS Foundation Trust in early 2012 and the new Hampshire Hospitals NHS Foundation Trust has since "transitioned away" from Cerner. A spokesperson said: "The trust now operates a single patient management system, provided by CSC, and an electronic patient record system across the trust." A consortium of the six London trusts that received Millennium (formerly nine) created a collaborative framework in 2012 to procure a patient administration system, EPR, clinical portal and hosting services beyond the end of their national contract. All have since signed individual contracts to retain Cerner’s system and Royal Free London NHS Foundation Trust became the first to exit its NPfIT contract a year ago. St George’s Healthcare NHS Trust moved out of the BT data centre and into the Cerner data centre about a month ago, while Surrey and Sussex Healthcare NHS Trust, which also used the London framework, will be the next to ‘flip’ data centres later this month. All 15 trusts plan to be out of the BT data centre by the end of October, with North Bristol the last to exit on 16 October. Oxford University Hospitals NHS Trust also used the London framework to re-procure Millennium while Royal United Hospitals Bath and Milton Keynes University Hospital Foundation Trust both went out to tender individually and picked Cerner via an OJEU process. Royal United Hospitals Bath has signed a five-year PAS contract with the company worth £8.5 million while Milton Keynes is paying £23 million over ten years for the full EPR. Surrey and Sussex Healthcare NHS Trust director of information and facilities Ian Mackenzie told Digital Health News that all Cerner trusts that used the London framework shared information. “Others may have bought other functionality, but we have all been very open with each other about our contractual arrangements so we know we are paying the same as someone else,” he said. Mackenzie said that despite the end of the national programme, collaboration amongst Cerner trusts has grown as some of the southern sites now find themselves in a similar place as London trusts. Read more about the re-procurement of EPRs in London and the South in Insight. Blackpool Teaching Hospitals NHS Foundation Trust intends to roll out CSC’s MedChart electronic prescribing system across its hospitals early next year.